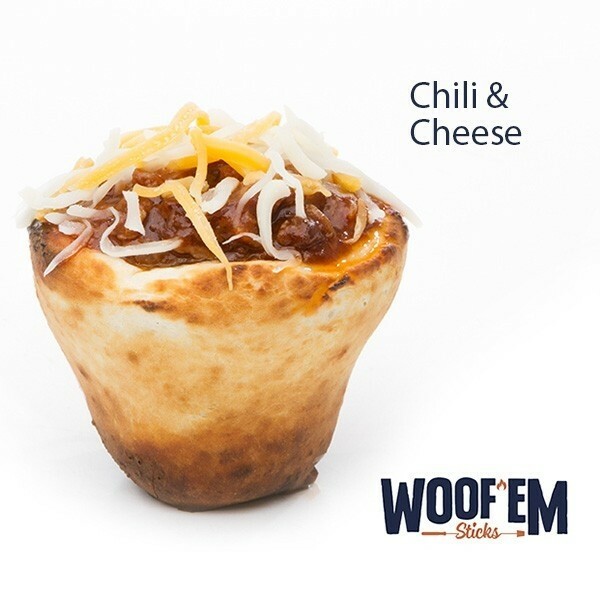 Woof 'Ems are delicious little toasted biscuit cups, filled with your favorite pulled pork recipe, white chicken chili fixins, scrambled eggs & bacon - and especially delicious and easy dessert recipes! 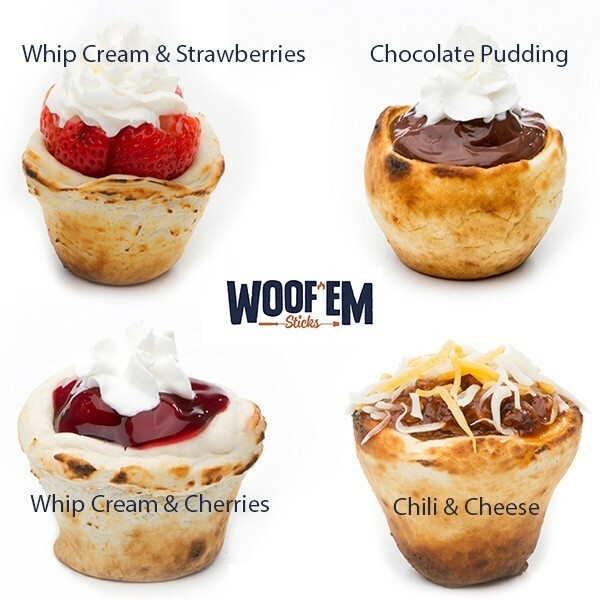 Load them up with chocolate pudding, cherry pie filling, fresh fruit and a dollop of whipped cream! 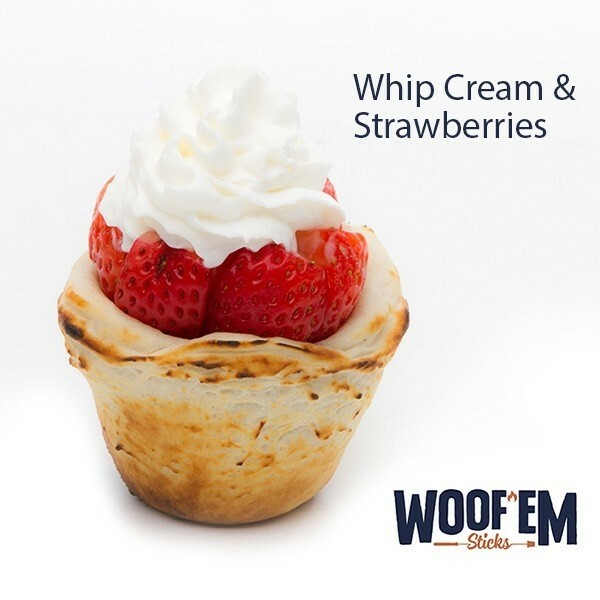 Then "WOOF 'EM" down! 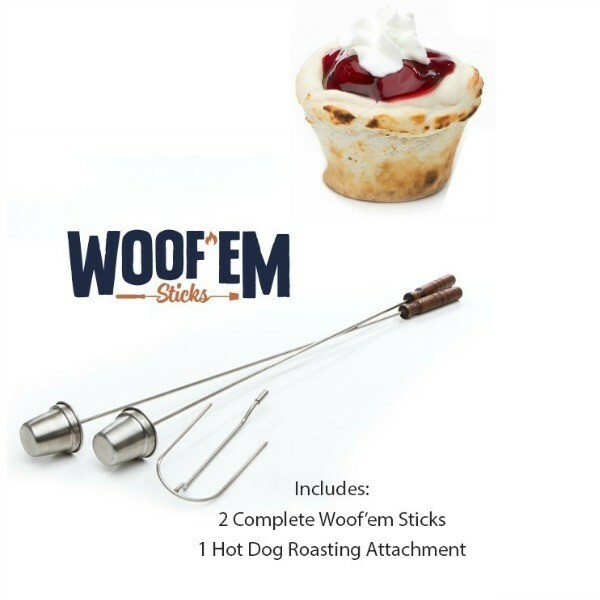 Toast Woof Em's over a campfire, outdoor fire pit, barbecue or propane stove. 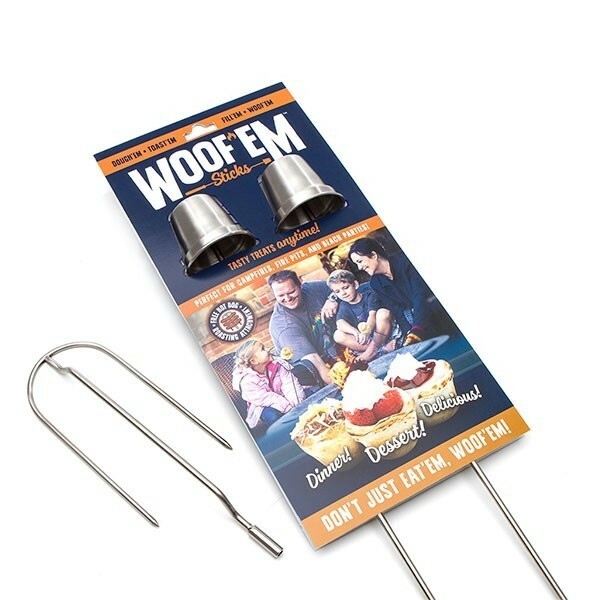 On a camping trip or in your own backyard - family fun - guaranteed! 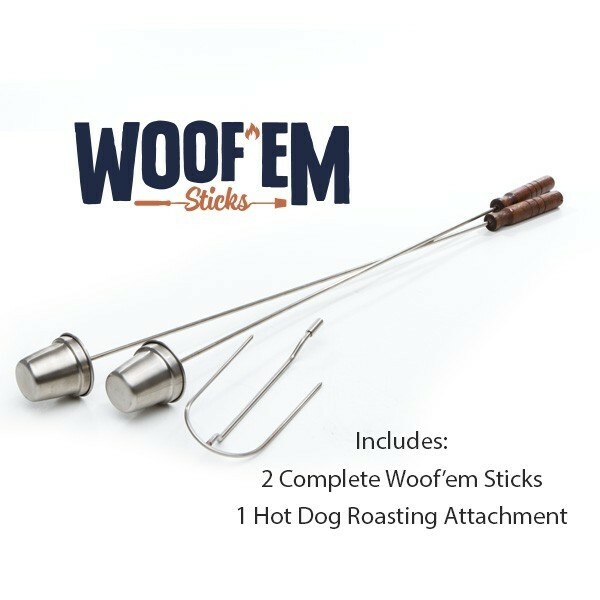 Includes Woof 'Em Sticks and FREE Hot Dog Roaster!